Mr. Cervantes has been working in the fire protection and life safety field since 1996, beginning his career as an Installer and progressing through the field ranks to become a Project Manager, and Operations Manager for 2 very large organizations in Southern California. Mr. Cervantes has now moved his talents to the Manufacturing world, to bring about a change to the level of integration opportunities available to all of the Life Safety industry with innovative products and modifications to many of the pre-existing methodologies of installations. His past experience included the management of projects in all vertical markets from K-12, Higher Education, Government, Commercial, Residential, High Rise and Clean Room application. 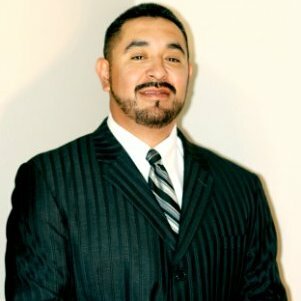 Now the Western Region Business Development Manager for Space Age Electronics, Cervantes’ responsibility is the growth and development of Space Age presence in California, Nevada, Oregon, Washington, Alaska & Hawaii, providing solutions to complicated fire protection engineering and building code based problems. Outside of fire protection, Mr. Cervantes enjoys a daily trip to the gym, photography, dancing and travel. For online payment, please make a selection below and click the pay now button. 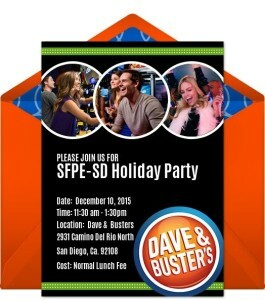 ** Please Don’t Forget You’re all invited to our first Annual SFPE-SD Holiday Party at Dave & Busters in San Diego. along with a buffet style meal and soft drinks. 1. Please RSVP by Monday December 7th and please pay on line on our website, link below. 2. 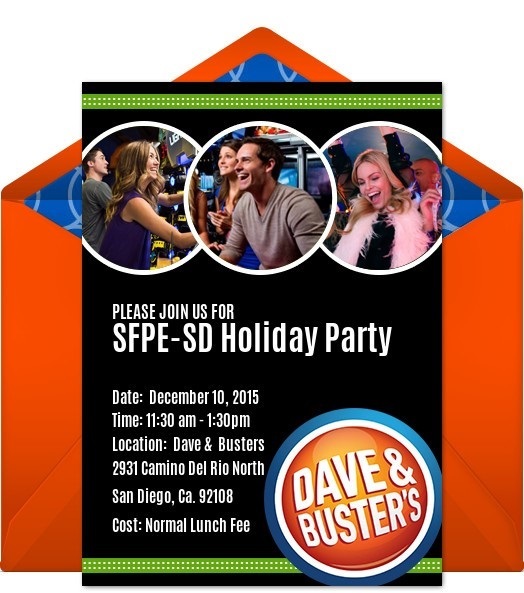 On our SFPE-SD Website, please click on the Green Subscribe button and fill out your information since this will add you to all our future updates such as this Holiday Flyer or lunch meeting invites that that will automatic ally be send to you whenever any updates are posted on our website. Thank you again to all our SFPE-SD corporate sponsors for our chapter.